Some weeks just leave you feeling like this . 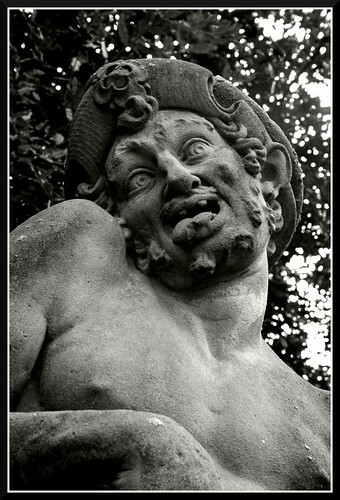 . .
from the Boboli Gardens and as, yet, I still don't know what's going on! If you know please enlighten me! Ahhhhhh, Boboli Gardens.... one of my favourite places on Earth. So magical. Ahhhh....that's so FUNNY. Yes! I definitely have days like that. I wonder what the artist was thinking when he created that statue.